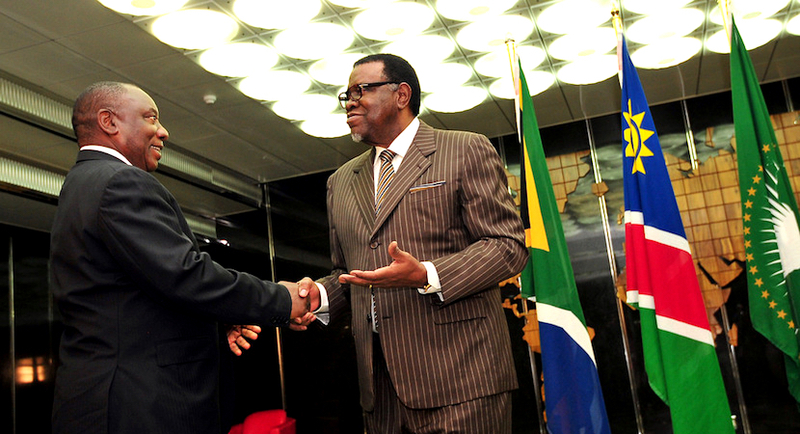 (Bloomberg) – Namibia, among the world’s most economically unequal nations, has scrapped a clause in a bill that proposes all businesses be at least a quarter owned by “racially disadvantaged people,” President Hage Geingob said. Neighbouring South Africa has similar black-economic empowerment laws. Critics have said they failed to redress inequalities and have instead benefited a small number of wealthy individuals. Zimbabwe recently said it would stop applying its ownership laws, which require companies to sell or transfer 51 percent stakes to black citizens, to most minerals. The Namibia Chamber of Commerce and Industry wanted the focus on economic ownership in the New Equitable Economic Empowerment Framework Bill scrapped, saying it will result in capital flight. The country is the world’s largest producer of marine diamonds and fifth-biggest of uranium. The current version of the plan has helped see Namibia lose its spot as Africa’s second-most attractive jurisdiction for mining companies to invest in, based on policies, to Botswana, the Fraser Institute’s 2016 survey of 2,700 firms worldwide shows.